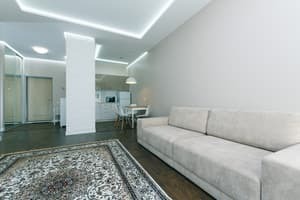 Luxury apartments with designer renovation are situated on one of the central streets of the city, a 2-minute walk from the famous Khreschatyk Street and the Bessarabian Market. 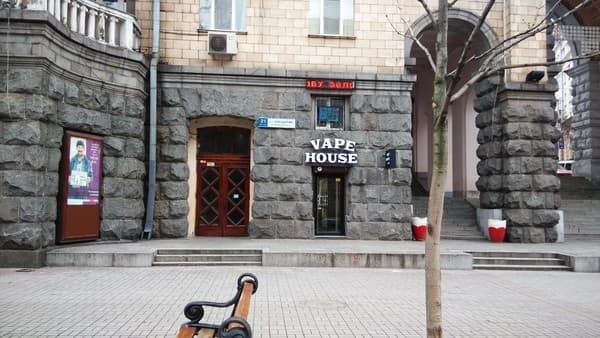 The nearest metro stations are “Teatralnaya” and “Lva Tolstogo”. Entertainment complex "Arena City", lots of restaurants, shops, boutiques are located nearby. The apartments are equipped with all necessary appliances: refrigerator, microwave oven, air conditioning, 2 plasma TVs, DVD. Kitchens are equipped with a full set of kitchen appliances and utensils. Free Wi-Fi is available. Welcoming and friendly staff will answer any questions 24 hours a day. We can arrange a transfer to / from the airport and train station. Distance from the train station to the hotel is 2.5 km; from the airport Borispol - 37.5 km. 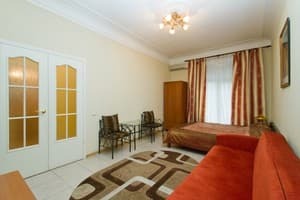 Description of the room: The business class apartment is located in the central part of Kiev, next to the legendary Bessarabian market, the main street Khreshchatyk, as well as modern shopping and entertainment complexes "Mandarin Plaza", "Arena City", "Metrograd"
Description of the room: "Upon check-in, the guest must deposit a $ 100 security deposit. You are responsible for the keys and the apartment while they are available and returning them upon departure. If you have lost your keys, you must compensate for the costs of purchasing and installing a similar new lock. Must behave in accordance with moral and ethical standards. Loud music, screams, or hooligan actions may lead to complaints from neighbors and you will be immediately evicted from a rented apartment without compensation for the entire period of your stay and no refund of deposit ($ 100). In case of damage, breakage of property or equipment of the apartment, must compensate for all costs associated with the repair and restoration of property and equipment to its original condition. " 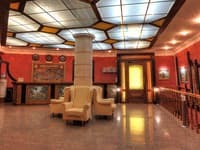 Description of the room: The VIP class apartment is located on Khreshchatyk Street. 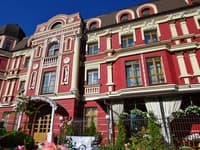 Convenient location Khreschatyk Street, the legendary Bessarabian market, shopping and entertainment complex "Arena City". The design solution of the combination of color and style, comfortable double bed + sofa created a cosiness, comfort and provide you with an unforgettable vacation. The nearest metro stations Khreshchatyk, Teatralnaya, "Lev Tolstoy Square",. 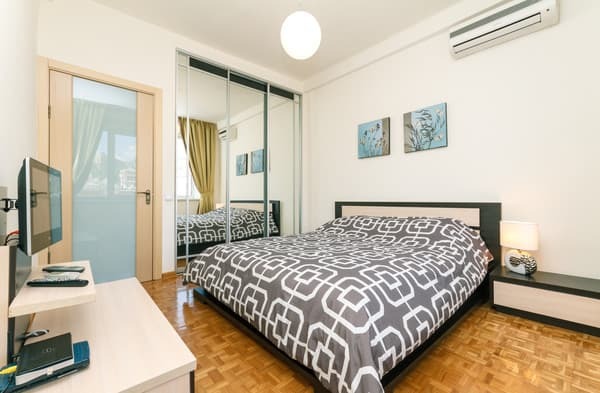 The apartment is equipped with a bathroom with hydromassage, as well as necessary appliances: refrigerator, microwave oven, air conditioning, TV, DVD, iron, hairdryer. Your rest will provide a double bed + sofa. Internet (WiFi). 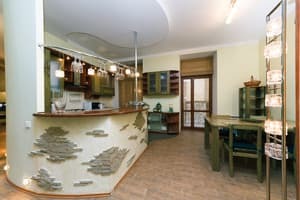 Description of the room: The apartment is located in close proximity to the administrative buildings of Ukraine, the large business center "Horizon-Tower", a few steps from the apartment the largest and most famous Bessarabian market, the new ultramodern Shoppingcenter MandarenPlaza, Khreshchatyk, many new restaurants and boutiques. Business class apartment. 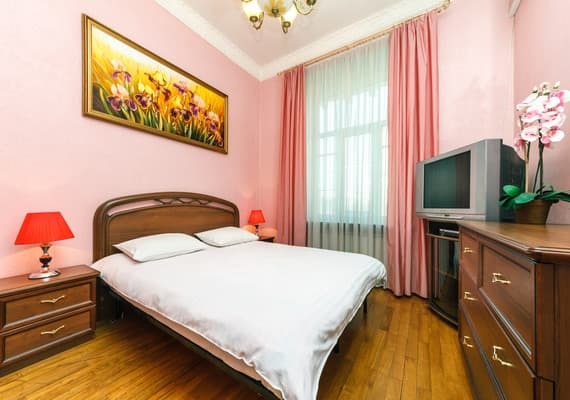 The rooms are separate, in the bedroom there is a double bed, in the living room there is a folding soft corner. Equipped with: air conditioning, TV (digital TV), video, washing machine, iron, microwave oven, refrigerator, electric kettle, Internet (WiFi). C / u separate. 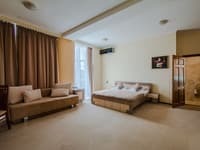 Description of the room: Daily in Kiev, in the heart of the city with a beautiful view of the main square of Ukraine - Independence Square. 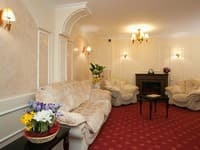 Apartment VIP-class, renovation in the style of Art Nouveau. Nearby is the shopping and entertainment complex "Globe". 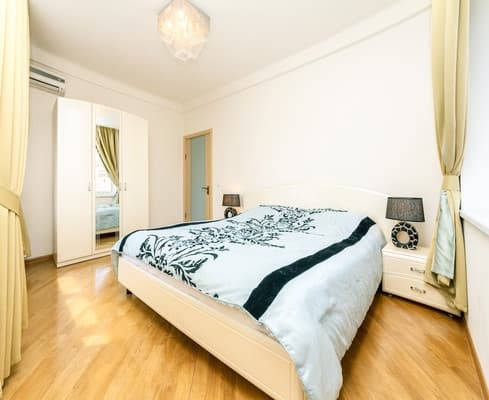 Two separate bedrooms with double beds, in the living room a folding soft corner, there is also a dressing room. There is: telephone, two TVs, satellite TV, microwave oven, dishwasher, refrigerator, air conditioners, DVD, music center, internet. Two c / y, tiles imported. In one of the c / a bath + shower cabin with hydromassage. Check arrival: from 14:00 - 00:00 hours. Check leaving: to 00:00 - 12:00 hours. Children are free of charge if they don’t need an extra bed. 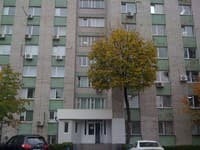 The apartments are located on the main street of Kiev – Khreschatyk, near ARENA and Bessarabian market. The nearest metro stations are “Khreschatyk”, “Teatralnaya” and “Lva Tolstogo”. Distance from the train station to the hotel is 2.5 km; from the airport Borispol - 37.5 km.